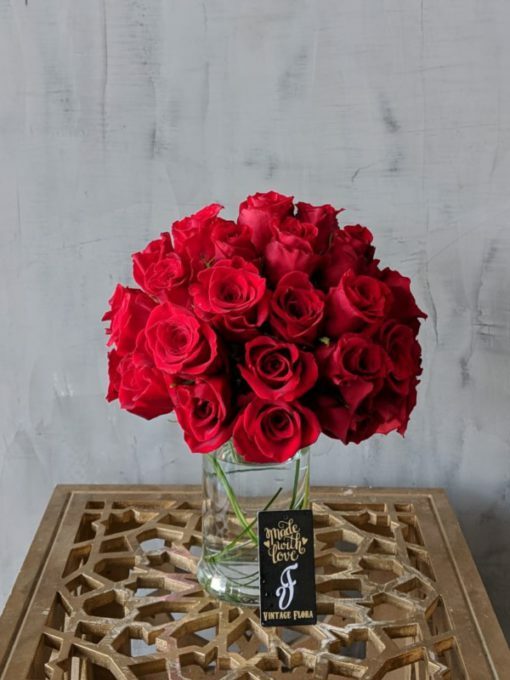 Made of 50 bright red roses, surprise that special someone in your life with “A secret love”. Let the fragrance of the fresh red roses bloom their day! Purchase this product now and earn 45 Vintage Rewards!